Fab Fete Event Planning Boutique has been featured in not only Elegant Wedding Magazine but also on their blog! 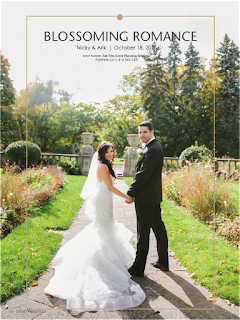 Nicky and Arik’s wedding was an honor and absolute delight to plan! 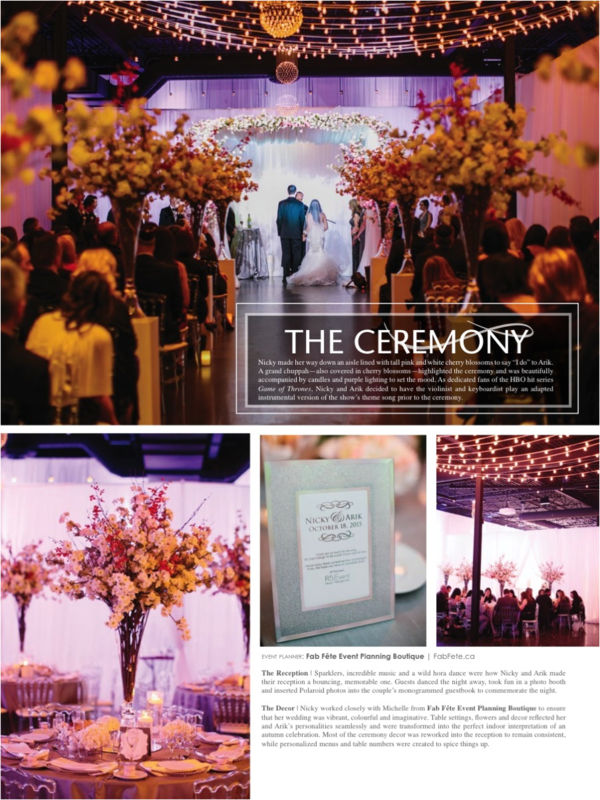 The beautiful décor by R5 Events, specifically the enchanting cherry blossoms, made this the perfect wedding to be featured! With lights strung up from one side of the ceremony to the other and the perfect weather that the day ended up bringing, there is nothing we would change about this day! This was a wedding we will never forget! Now, make sure you will never forget it by picking up your copy of Elegant Magazine at newsstands today! Also check out their blog post http://www.elegantwedding.ca/wedding-style/real-weddings/fantastical-cherry-blossom-themed-wedding/ !